But, it can be tricky to get all your guests to attend. So, if you decide to go the untraditional way, you need to know and accept from the start that not everyone you invite is going to be able to make it. To maximise attendance, the first thing you need to do is set the date well in advance, so your guests – especially those from out of town – can plan ahead and get enough time off work. 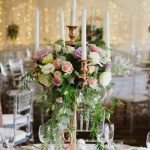 But, as big believers that small details make all the difference, our team at Waterside Events suggest that you go even further, and take the excuse of having a weekday wedding as an opportunity to pamper your guests and make them feel special and appreciated for being a part of such an important time of your life. Try to get some special hotel deals for guests coming from other cities or overseas. It really makes a difference, as they see you’ve thought about them and gone the extra mile to make it feasible for them to attend the wedding. It is usually easier to negotiate with a small hotel, as you can speak directly with the owner, and make special arrangements, like having all guests stay on the same floor, or having welcome gift bags in their rooms. If you have a group of people coming from out of town for a few days, it might be worth planning a dinner or cocktail night the days before or after the wedding. This gives you the chance to spend some time with them and show how you appreciate their presence, while they also have the chance to mingle with other friends and family they might not get to see very often. While your guests from out of town have more time off work to be pampered and to participate in other activities during their stay, your friends and family who live closer might not necessarily get time off their 9 to 5 work schedule. So make sure your reception starts after 6 PM, so guests don’t have to go through peak-hour traffic to get to your wedding on time. At Waterside Events, we see weekday weddings as a chance for you to turn your wedding into a week-long affair which will create amazing memories, not only for you but for all of your guests. If you’d like our help with your wedding, get in touch today, and we will be happy to hear from you. Weekday Weddings: Hipster or Smart?